At The Skin and Makeup Institute, we pride ourselves in educating the most elite aestheticians Arizona has to offer. Under the direction of a licensed aesthetic instructor, our students are able to design a unique skin care program to fit your specific needs. While you are here, take time to experience our body treatments. Did you know the most neglected part of the body is the back? We will pamper and restore your skin’s natural radiance with a Back Treatment. For a more radiant complexion, reduce toxins by adding a Lymphatic Facial Massage to your service. Working together, we can reverse the signs of aging, control acne, diminish age spots, and restore skin to a healthy state. Great skin results begin with a complimentary skin analysis, treatment program, commitment to use the home care products and consistent professional treatment. Please see below for more information on Case Study opportunities. Thank you for visiting The Skin and Makeup Institute as it is our pleasure to serve you. Our wellness packages consist of treatments that will slim, tone, firm, detoxify and reduce the appearance of cellulite. For optimum results, we suggest 10 treatments twice weekly. Experience the infusion of well-being to your mind, body and spirit. These luxurious packages will make you feel pampered and beautiful. Experience the perfect gift for a friend or yourself! Indulge in a European Spa Facial, including a hand and arm massage, and a Violet Clay Body Treatment. Be the most beautiful woman in the room! You will be pampered from head to toe with an Aromatherapy Salt Glo, European Spa Facial, and a Makeup Application. This is way better than dinner and a “chick flick”! Indulge in a European Spa Facial, Back Treatment and Lash Tint. Prices are per person, up to six people total. All services are performed exclusively by students under the supervision of a licensed instructor. At The Skin and Makeup Institute, our students are required to research and perform services to reverse persistent skin conditions. If you suffer from a skin disorder such as acne, hyperpigmentation caused by the sun, hormonal activity, or aging skin, you may be eligible. As a participant, you will be required to commit to 8 weeks of treatments, attending the clinic weekly. You will also be asked to purchase the products necessary to benefit the study. Our fee for this program is $235 to $280 for your weekly treatments (regularly $375 to $500). The program will be set up for your specific skin needs, and may include treatments such as chemical peels, microdermabrasion or hydrating series, restoring or calming treatments. Please speak to one of our students or instructors, or call us at (623) 334-6700 for a complimentary skin analysis to see if you qualify. Photos may be required before and after each treatment. *Must comply with purchasing home care products. Designed for that client that is dealing with excessive oil production, acne or hyperpigmentation. 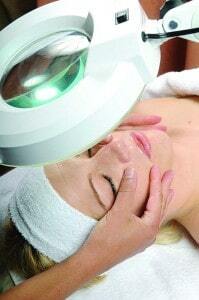 Designed for clients with needs that include a combination of exfoliating peels and microdermabrasion. Combined with hydration and repair treatments. Designed for clients that want powerful skin lightening ingredient. Quickly diminishes all forms of pigmentation. Designed for that client that is dealing with any skin imbalance excluding acne. This series will help to re-nourish and renew the skin. Designed for clients dealing with a loss of suppleness in their skin, restores hydration and re-stimulates collagen and elastin.